After working on the branding together further, we have developed it and finalised a logo for the collaboration and the exhibition being called dialogue. For the two to work together we decided that the collaboration should be a simple letterform symbol but still relate back to the of an exhibition. We felt the 'y' does this as it is made up of 3 shapes, these three shapes separately show the idea of walls and building things up to create an exhibit. The name and theme of the exhibition is dialogue. We decided that this should be made through a typographic logo. Again we wanted to make the logo represent the name and theme and be something that can stand alone on its own. We felt that it should be bold and clear and not need any other element to work with it to make a 'standard logo' that usually has features like a border or some sort of outlined shape around it. 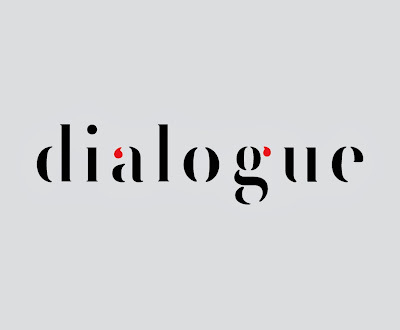 Dialogue is created from a typeface which we found online. We were browsing through different typefaces that could be a possibility and came across this one. At first we weren't se certain on it, but then as illustrated above Nathan noticed that that within the typeface speech marks had been used to create a letterform. 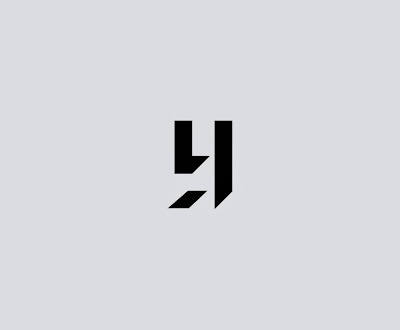 This gave the typeface another meaning and tied in perfectly with the concept of the exhibition. We both finally agreed on this typeface and this being the logo for the exhibition.